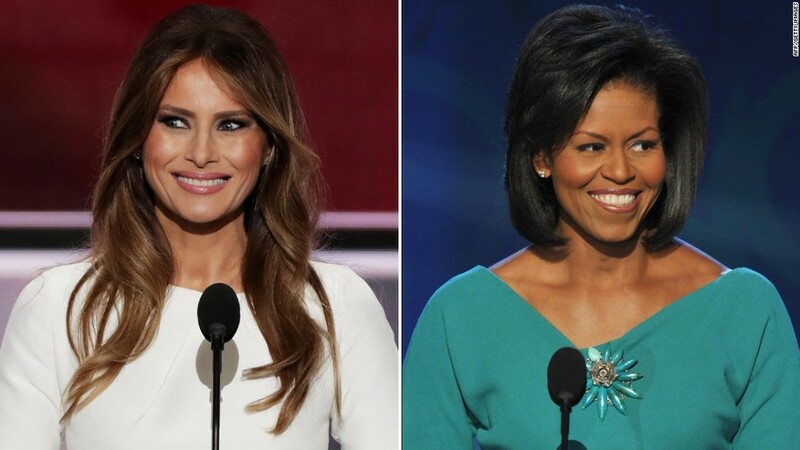 Did Melania Trump plagiarize Michelle Obama's speech? 1. Record run: The Dow Jones industrial average has been climbing for the last eight consecutive trading days. The index is now sitting at its highest level ever following its longest winning streak in years. And investors are still buying. 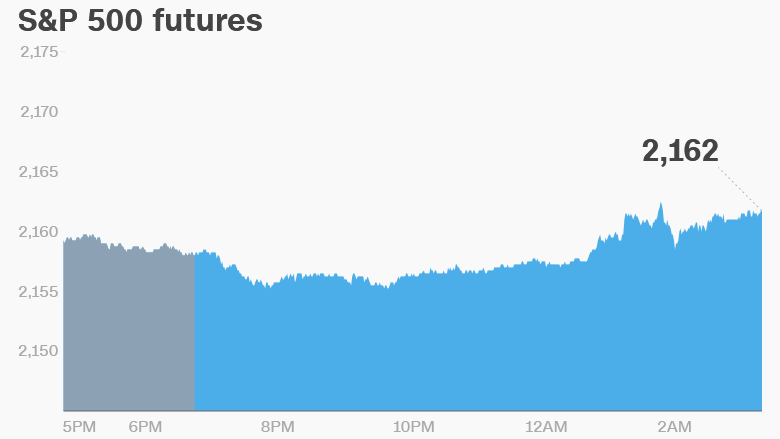 U.S. stock futures are edging up right now and European markets are rising a bit. Trading in Asia was muted and mixed. 2. Earnings: Halliburton (HAL), Morgan Stanley (MS) and Tupperware (TUP) are reporting earnings ahead of the open. American Express (AXP), eBay (EBAY), IMAX (IMAX), Mattel (MAT), Intel (INTC) and Del Taco (TACO) will report after the close. 3. Market movers -- Microsoft, miners and Nintendo: Shares in Microsoft (MSFT) are set to surge at the open after the company reported better-than-expected quarterly results showing its big bet on cloud computing is paying off. Sales from Microsoft's cloud division hit $6.7 billion in the most recent quarter, 7% up from a year earlier. Shares in global miners are sinking in London, with Anglo American (AAUKF) leading the way down with a 6% drop. This comes as Anglo and other miners release quarterly production updates. Nintendo (NTDOY) stock took a sharp drop Wednesday -- down nearly 13%. Shares had risen by more than 120% since July 6 after the success of the company's Pokemon Go game. 4. Close shave: The maker of Axe Body Spray and Dove soap is adding a new brand to its arsenal. Unilever (UL) has agreed to buy Dollar Shave Club. Terms of the deal were not disclosed. However, Fortune reported Unilever is paying $1 billion in cash for the company, citing sources. 5. Crude reality: The U.S. Energy Information Administration will issue its weekly crude inventory update at 10:30 a.m. ET. This report can move oil markets if inventories are higher or lower than expected. 6. GOP watch: Ted Cruz, Marco Rubio, Newt Gingrich and vice presidential nominee Mike Pence are slated to speak Wednesday at the Republican convention, after Donald Trump was formally adopted as presidential candidate on Tuesday. But markets are still waiting for the man himself. "His big speech is not until Thursday so markets are unlikely to pay too much attention to the convention before then," noted Paul Donovan, a global economist at UBS.